A newly published paper provides evidence for the idea that the capture of free-floating planets by stellar systems may be more common than previously thought. Evidence of exoplanets with orbits that are misaligned with the spin of the host star may suggest that not all bound planets were born in the protoplanetary disk of their current planetary system. Observations have shown that free-floating Jupiter-mass objects can exceed the number of stars in our galaxy, implying that capture scenarios may not be so rare. To address this issue, we construct a three-dimensional simulation of a three-body scattering between a free-floating planet and a star accompanied by a Jupiter-mass bound planet. We distinguish between three different possible scattering outcomes, where the free-floating planet may get captured after the interaction with the binary, remain unbound, or "kick-out" the bound planet and replace it. The simulation was performed for different masses of the free-floating planets and stars, as well as different impact parameters, inclination angles and approach velocities. The outcome statistics are used to construct an analytical approximation of the cross section for capturing a free-floating planet by fitting their dependence on the tested variables. The analytically approximated cross section is used to predict the capture rate for these kinds of objects, and to estimate that about 1\% of all stars are expected to experience a temporary capture of a free-floating planet during their lifetime. Finally, we propose additional physical processes that may increase the capture statistics and whose contribution should be considered in future simulations. Science fiction authors have considered this idea for generations. The term rogue planet comes from Poul Anderson's 1967 novel Satan's World. 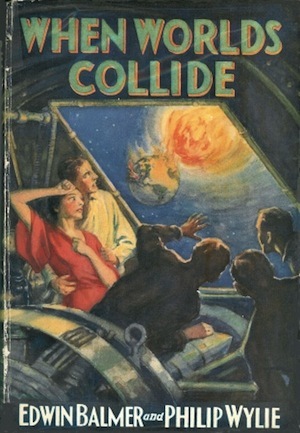 But you'll find an earlier example - wandering worlds - in the 1932 story When World's Collide by Edwin Balmer and P. Wylie. A special favorite of mine is the rogue world from Dying of the Light (1977), a superb science fiction novel by George RR Martin.